. About Us Adhesives Angelus Leather Paints Angelus Shoe Boot Polish Brisbane Suburbs Christian Louboutin Sole Repair Collonil Shoe Car Care Products Waproocolorchart Complete Product List Complete Shoe Repair Services List Contact Us Greek Style Sandals Horse Care Products Horse Riding Boot Repair Index Ladies Shoe Repair Leather Conditioner Leather Dye and Oils Mens Shoe Repair Motorbike Boots Repair Mountain Ice or Rock Climbing Hiking Boot Repair Non Slip Soles and Heel Grips Other Payments Postage Costs Outside Australia Price List Brochure Shoe Deodorant and Shoe Perfume Shoe Insoles and Heel Grips Shoe Paint and Shoe Polish Shoe Stripper and Shoe Cleaners R M Williams Suitcase Repair Testimonials Tips and Tricks Waterproofing Products Waproo Suede and Nubuck Zipper Repair Click on the Arrow then press "Go"
This page can be used if you have asked for a quote or received work that does not cover any of the above. We can repair most items, including RM Williams, Motorcycle Boots, Hiking Boots, Dress Shoes, etc. We can stitch very thick and stitch very long materials, basically if it needs fixing we may have the machine or ability to do the job. 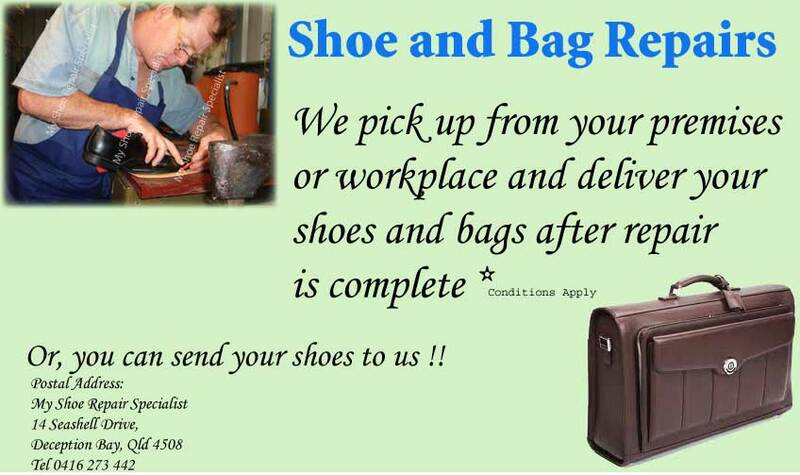 We have a huge variety of shoes, leather and foot care products . Our stock range includes leading shoe care brands -Waproo (Australian owned), Collonil (Germany) and Angelus (USA). If we dont have an item listed just let us know and we shall try and get it for you.